Best Snake Games for Android lists features some popular Snake Games which are quite amusing to play on your device. Snake Games have been most popular since the early days of Nokia Mobiles. How we have chosen these Best Snake Games for Android? System resource consumption, as most of these Best Snake Games for Android will be played for a long period. You can type or copy any name of the Games listed in this list of Best Snake Games for Android and search it in Android Market Place using the Search function. Snake ’97 : Play Snake like it is 1997. This is a remake of the original Snake, complete with dot-matrix display and monotone sounds. Snake : In the Snake game you control a serpent, which is roaming around the garden looking for apples. Super Snake HD : The Snakes are hungry. The Chickens are slow. Feed your Snake to help it grow! Eat your way through 100 levels of Puzzles, Power-ups and Poultry, spanning 5 wonderfully wicked worlds in this unique and modern take on the classic game of Snake! Snake2 : Upgrade version of Snake game. Snake : Direct the snake around using swipes, eating bugs & avoiding obstacles as you go. Direct the snake around using finger swipes, eating bugs as you go. We hope you have enjoyed our list of Best Snake Games for Android. 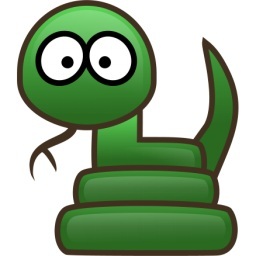 Snakedroid : SnakeDroid is a very cool snake game. Play game by rotating your phone. Enjoy the snake game in a new way. Glow Snake : Control a glow snake as it moves around eating red eggs and increasing in length. Glow Doodle Snake : Get the famous Snake game for Android! We hope you have liked some of these snake games from our list of Best Snake Games. This Article Has Been Shared 9600 Times! Cite this article as: Abhishek Ghosh, "Best Snake Games for Android," in The Customize Windows, February 17, 2012, April 18, 2019, https://thecustomizewindows.com/2012/02/best-snake-games-for-android/.